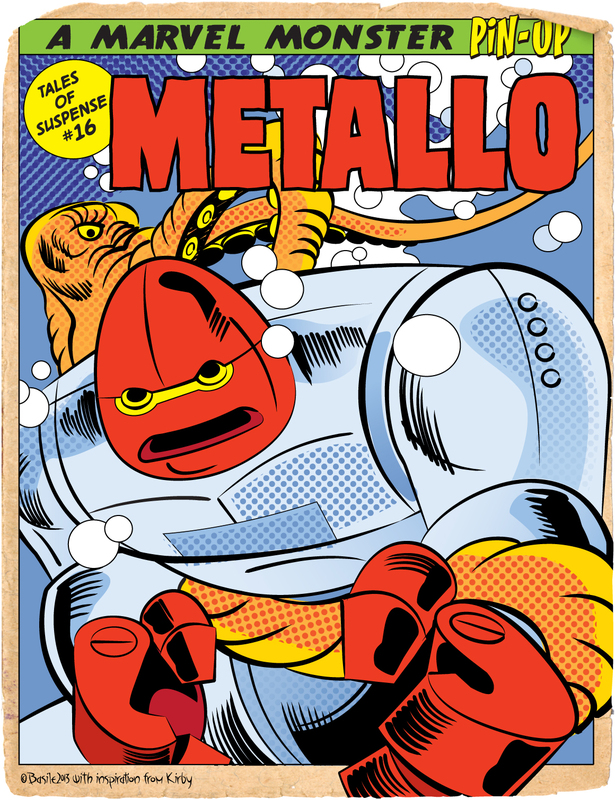 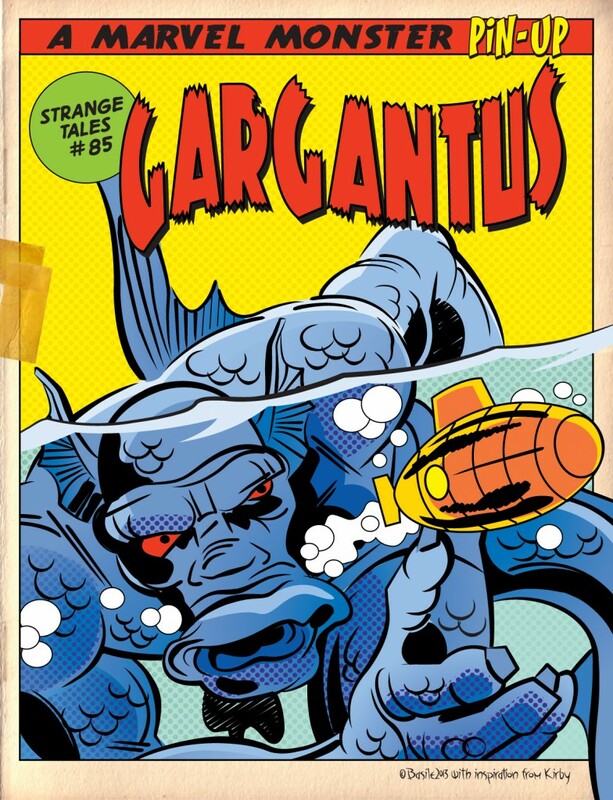 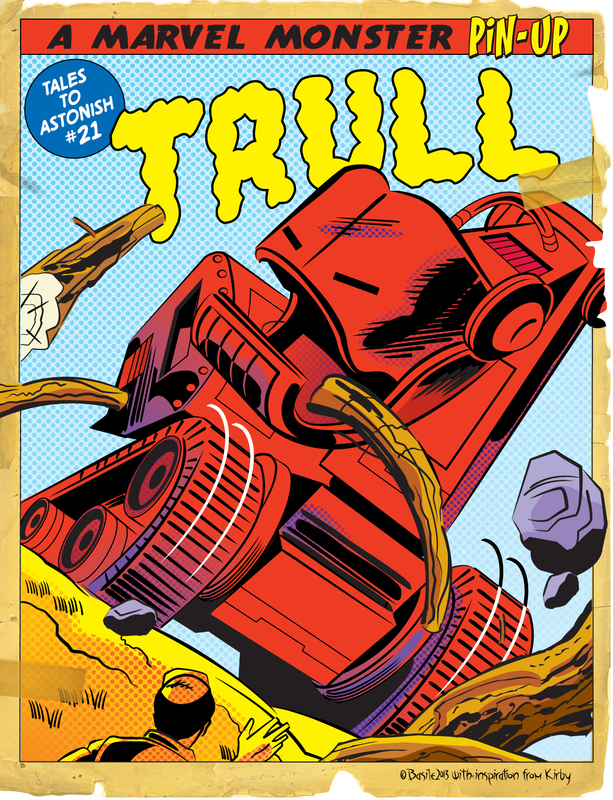 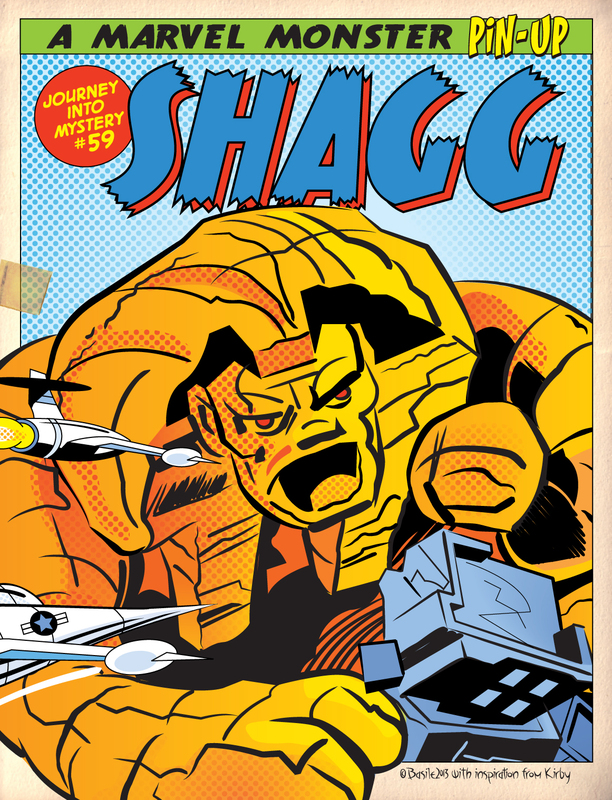 Posted March 27, 2013 in Bombu, Gargantus, Jack Kirby, Marc Basile, Metallo, Shagg, Trull. 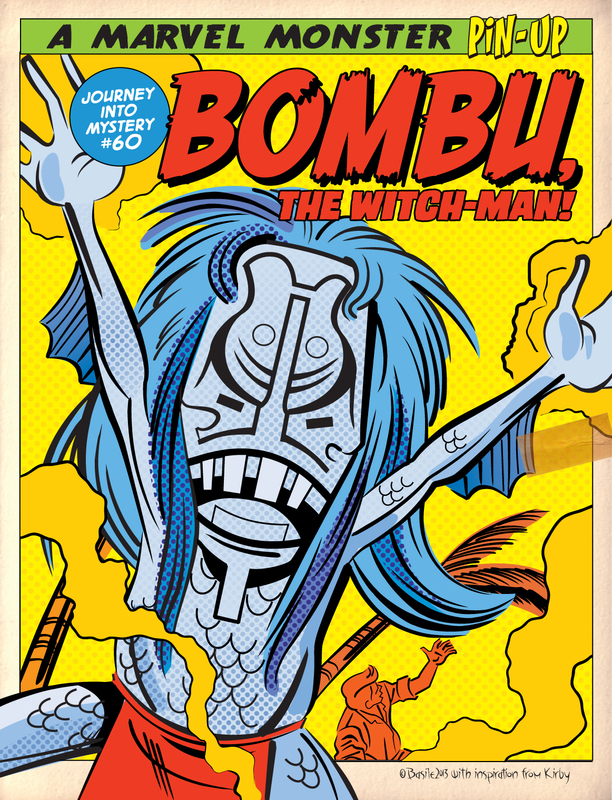 It’s always a joy to find new work from Marc Basile in the Kirby-Vision inbox. 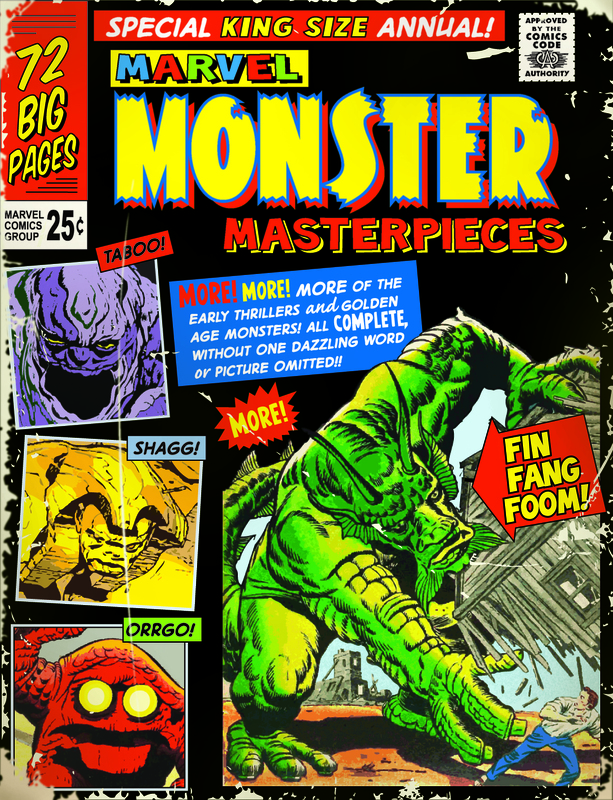 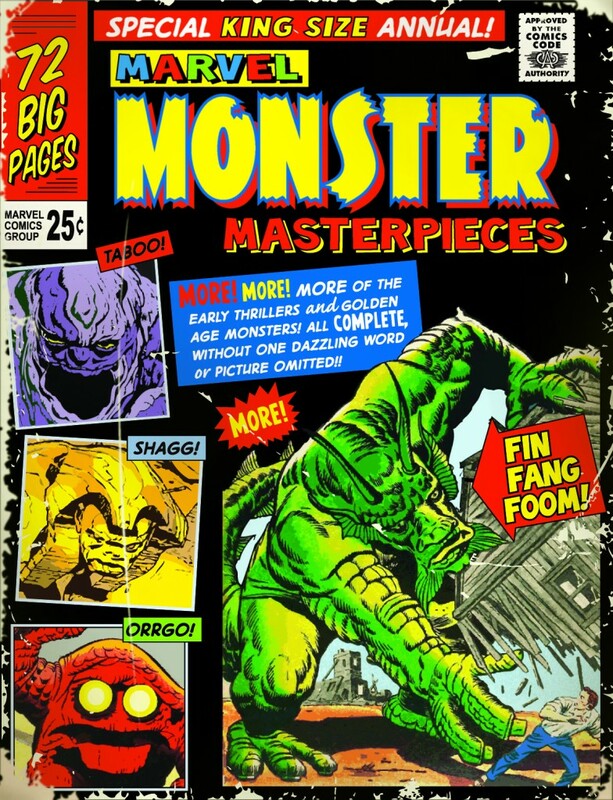 This time around Marc has created a series of pin-ups for a fantasy King Size Annual featuring reprints of Jack’s monster creations from the fondly remembered Atlas anthologies.